Example of creating combined Excel charts with two chart types. 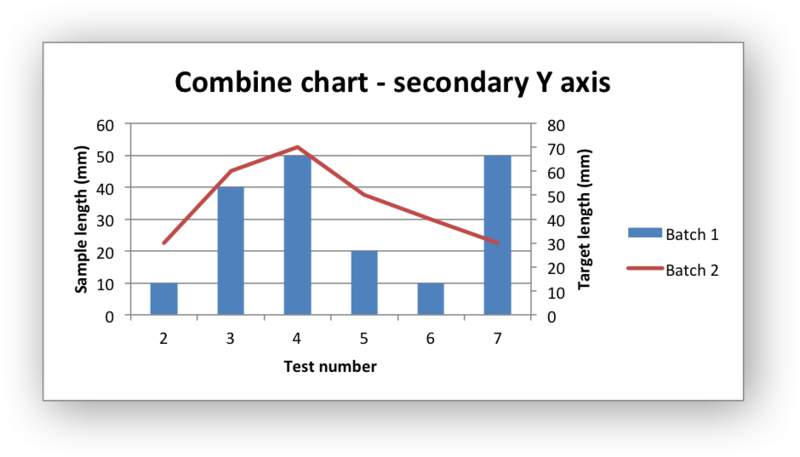 In the first example we create a combined column and line chart that share the same X and Y axes. In the second example we create a similar combined column and line chart except that the secondary chart has a secondary Y axis. # An example of a Combined chart in XlsxWriter. # Add a format for the headings. 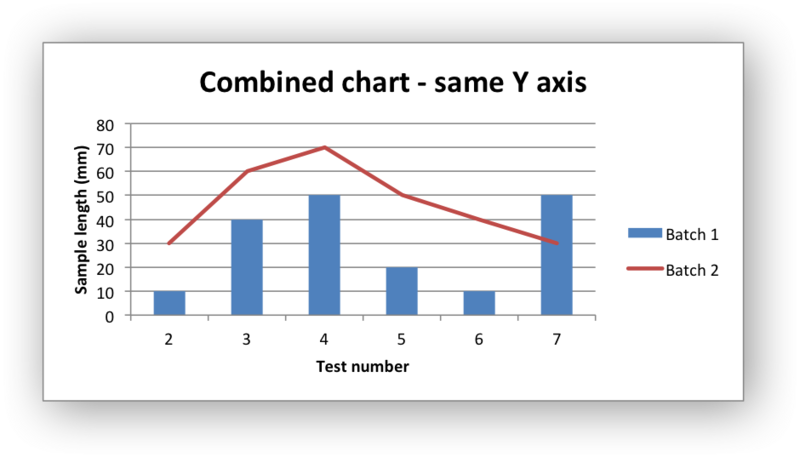 # In the first example we will create a combined column and line chart. # They will share the same X and Y axes. # Create a new column chart. This will use this as the primary chart. # Configure the data series for the primary chart. # Create a new column chart. This will use this as the secondary chart. # Configure the data series for the secondary chart. # chart except that the secondary chart will have a secondary Y axis. # this and the first example, apart from the axis label below. # Note: the y2 properties are on the secondary chart. © Copyright 2013-2019, John McNamara.